18" flat round, max float. 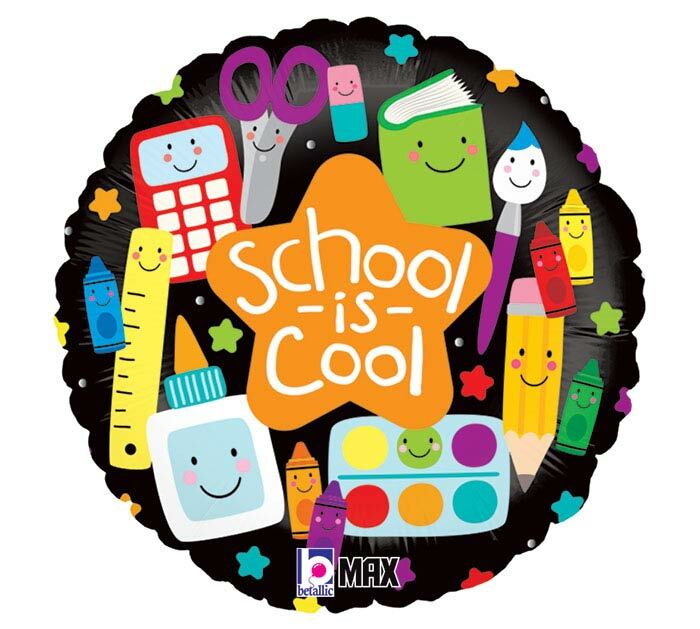 Black with school icons and message in an orange star:School is Cool. Will float up to 8,000 ft.